Borage seed oil as the name suggests is derived from the seeds of the plant Borago officinalis (borage). Borage plant is also known as Starflower, a wildflower belonging to Boraginaceae family. It is in many other cultures known as the ‘bee plant’ and ‘bee bread.’ This is mainly because of the bright borage flowers which can attract bees all summer long. It is a golden-yellow colored oil with a faintly pleasant odor. Borage is an annual herb. This plant is native to Syria. But nowadays can also be found in North Africa, the Middle East, Europe, South America, and many other Mediterranean regions. Borage seed oil among other oils has one of the highest concentration of γ-linolenic acid (GLA), which is around 24%. Lets read more about this article in the following article. But Why Do Y-Linolenic Acid Matters? How To Make Borage Oil? How Does Borage Oil Works? It’s an active natural anti-aging agent. High concentration of linolenic acid makes it a great anti-inflammatory agent. Aid in relieving discomfort occurring due to endometriosis, PMS symptoms and menopausal symptoms. Borage oil contain mucilage which can help to soothe your mucous membrane. Hence can be used as the agent to manage Cough & Sore throat. Borage oil is used in aromatherapy. Because borage oil has an uplifting and euphoric effect. It can also be used to ease your mood swings and depression. Borage oil has the high concentration of GLA. GLA has positive effects on cell death (apoptosis). Ingested GLA is converted to dihomo-γ-linolenic acid (DGLA). This acts as a precursor to prostaglandins and leukotriene. DGLA lowers inflammation by inhibits leukotriene synthesis. For this reason, borage oil is used in lowering inflammatory and age-related disorders like arthritis, atopic eczema, and respiratory disorders. GLA present in borage seed oil has anti-mutagenic properties and antioxidant capabilities. Hence they have the power to fight against the growth of cancerous cells. In laboratory studies, borage oil exhibited cytotoxic activities. So you can use borage oil supplementation to lower underlying oxidative genetic damage responsible for inflammation and disease development. GLA from borage oil seems to work like a natural remedy for rheumatoid arthritis pain. This is especially observed when used in combination with other conventional painkilling or anti-inflammatory medications. There’s evidence that some people notice a decrease in joint pain, swelling and severity of tenderness following as little as six weeks of regular borage oil treatment. 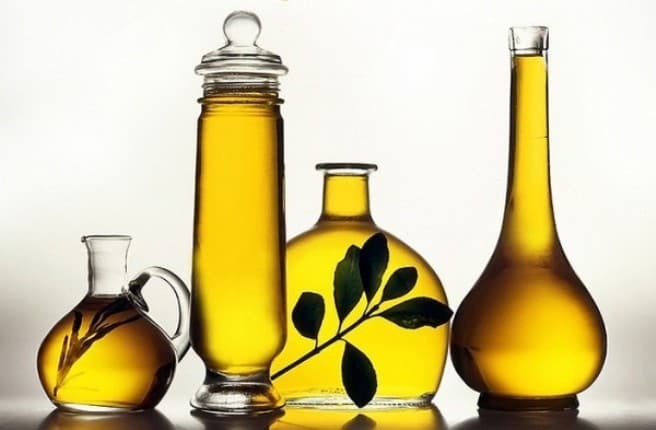 GLA has been shown to correct deficiencies in skin lipids (oils). 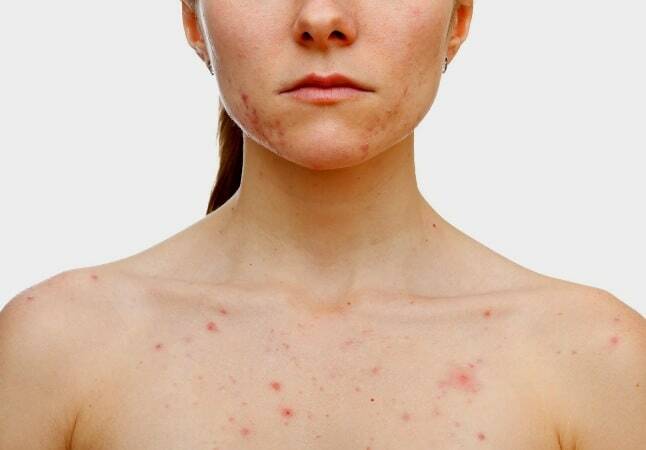 When skin can’t produce enough protective oils, there is a dysregulation of the immune system. 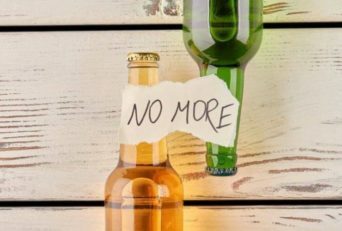 This can cause the increase in inflammation and specific immune responses such as skin flare-ups. Because human skin can’t synthesize GLA, GLA-rich borage acts as a natural eczema remedy. Borage oil has been found to improve the lung function. This information can be very helpful for people with inflamed respiratory infections and disorders such as acute respiratory distress syndrome (ARDS). Along with that borage oil can reduce inflammation associated with such disorder. There is also some evidence of borage oil when taken orally in combination with eicosapentaenoic acid (EPA).According to that evidence, borage oil might reduce your number of days spent in the intensive care unit (ICU). According to that study, borage oil can reduce your length of time on the breathing machine as in case of patients with acute respiratory distress syndrome (ARDS). Fatty acids from borage oil and beneficial omega-3 supplements help to support the development of the central nervous system. Studies, as published in ‘Food and Chemical Toxicology’, has shown that the borage oil fed to rats for 90 days helped with their growth. 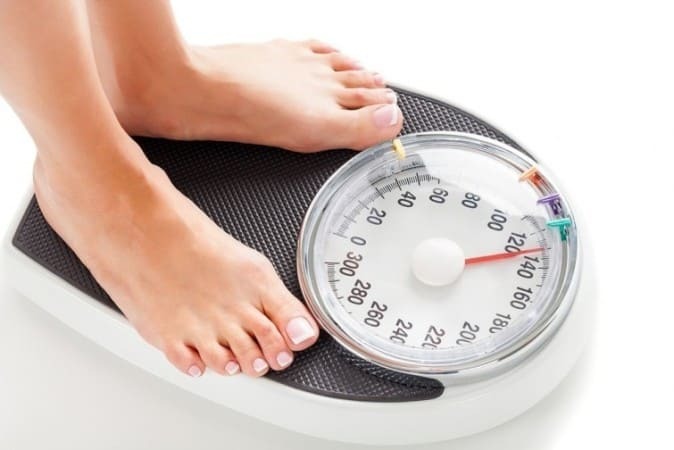 For people struggling with weight loss, this can be good news! There’s evidence that GLA present in borage oil causes less body fat accumulation compared to other refined vegetable oils. A 2000 study in Japan found that over the course of two weeks, rats that were fed diet containing borage oil rather than safflower oil had the lower accumulation of fats. Borage oil is safe as long as you were taken it in right dosage amount. Ideally, you can take 1,000 to 1,300 mg of borage oil daily. Borage oil is marketed in the form of soft gel or capsules. You can increase your GLA absorption if you take borage oil orally with food. Since oil can become rancid when it gets heated or exposed to UV light. It is a good idea to buy borage oil in light-resistant containers. To maintain its shelf life, store borage oil somewhere in the dark and cool place. While buying borage oil, make sure that your borage oil is free of pyrrolizidine alkaloids (PA). PA is a carcinogenic liver toxin. Which may cause severe venous-occlusive disease even on small exposure. Nursing, pregnant, or women who are considering getting pregnant, you are recommended to avoid borage oil. Since there are no confirmatory safety studies of borage oil on developing fetus or with an infant. It is better to be safe than sorry. The appropriate dose of borage oil depends on for what purpose you’re going to use it. But in most cases, for healthy adults recommended dosage is 500 mg to 3 grams taken once daily. For patients suffering from chronic inflammation such as rheumatoid arthritis patients. They can take higher dose up to 3 grams to manage the excessive pain. But anyone who is starting usage of borage oil for the first time should start with the low dose of 500 mg.
Borage Oil is linked with lowering seizure threshold in some patients. Thereby there is a likelihood of occurring seizure in such patients. Borage Oil according to some reports can act moderately as an anti-clotting agent or blood thinner. Hence they can interact with medications such as warfarin. So if you are taking seizure medications or blood thinners, it is advised to avoid the use of borage oil. Such patients should at least consult your doctor before using it. Borage oil may contain the pyrrolizidine alkaloid amabiline. This alkaloid is a hepatotoxic (risk of inducing liver damage). Hence you should always check the label for ‘certified free of toxic unsaturated pyrrolizidine alkaloids’ sign. Borage oil may be unsafe during pregnancy. Preliminary studies suggest that borage oil has a teratogenic effect. Along with that it also showed that its prostaglandin E agonist action might cause premature labor. Hence it’s better to avoid usage of borage oil by pregnant or lactating women. If you are women planning to become pregnant, then as a preventive measure you should avoid the use of borage oil. As mentioned above borage seed oil as an anti-coagulative effect. Hence there is a risk of prolonged bleeding time or hemorrhage in patients who are on blood thinners. Hence it’s better to avoid borage seed oil if you are a patient taking the blood thinner. 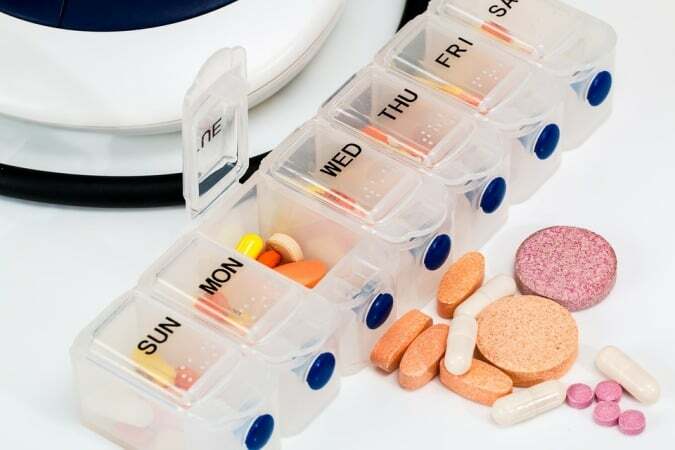 Side effects in the majority of cases are associated with one or other drug-drug interaction. In case of borage oil, because of its seizure lowering capability, there is a risk of triggering a seizure in patients using phenothiazines or tricyclic antidepressants. Similarly, NSAIDs such as aspirin can cause GIT bleeding. Hence such medications along with borage oil can increase the risk of hemorrhage. Medicines used during surgery (Anesthesia). Hence, when you know you are going to undergo a surgery, stop using borage oil few weeks before surgery to be on a safer side. A study from the University of Pennsylvania showed that rheumatoid arthritis patients taking 1.4 grams of borage oil daily experienced reduced pain and swelling in their joints. Borage oil has the high concentration of essential fatty acids. A study done on animals showed that there was the improvement in skin disorders caused by fatty acid imbalances after using borage oil. 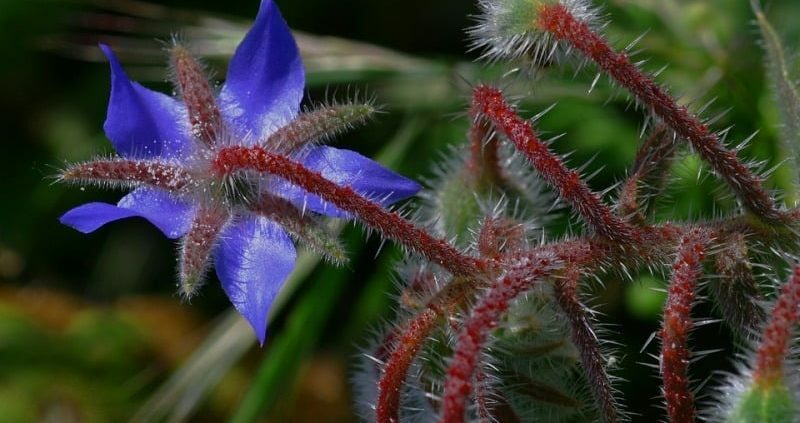 Hence there is a scope of using borage oil to treat acne, eczema, or psoriasis. A recent study published in the ‘British Journal of Nutrition’ shown that women were experiencing irritation and reddening due to various skin conditions, got relief after taking borage oil. According to the study published in ‘Prostaglandins, Leukotrienes, and Essential Fatty Acids’, borage oil usage improved gum health and reduced periodontitis-related gingivitis. Borage oil according to some study can boost the transmission of nerve impulses. Hence it may help to minimize muscle spasms and numbness associated with this nerve disorder. Borage oil can boost the transmission of nerve impulses. Hence this is valuable information in treating this debilitating disease. Borage oil also can contribute to the development of healthy nerve over time. Hence, borage seed oil is a highly beneficial oil with a various therapeutic application. Even after this much information, there is a need for more research to understand the real potential of Borage seed oil fully. γ-linolenic acid (GLA) when ingested, it is converted to dihomo-γ-linolenic acid (DGLA). This metabolite is a precursor to a variety of prostaglandins and leukotrienes. Increase in amount of DGLA will inhibit leukotriene synthesis. Leukotriene production occurs mainly as the inflammatory response. Hence γ-linolenic acid act as an anti-inflammatory agent. Because of this borage seed oil can also be used in therapy against rheumatologic illness. Borage seed oil other than having anti-inflammatory activity, also show anti-thrombotic effects. Hence Borage seed oil has a potential to be included in inflammatory disorders, arthritis, and atopic eczema therapy. Borage oil is jam-packed with nutrients such as protein, carbohydrates, and fats. 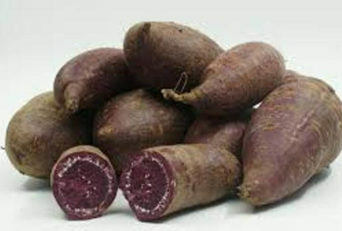 It also contains various vitamins such as A, C, niacin, choline, thiamine, and riboflavin, etc. As mentioned above, it is a rich source of γ-linolenic acid (GLA), only next to black currant oil (20%) and evening primrose oil (10%). This GLA is important to keep your skin and joints healthy. Borage oil is also enriched with oleic, docosanoic, stearic and palmitic fatty acid chains. Borage oil is derived by the cold-press method from the seeds of the borage flower. Unlike other herbs, infusing borage is difficult and also may not yield the same amount of nutrients. Borage oil can be ingested or applied directly onto your skin. If taken orally, borage oil can help you to repair your cellular activity, which will keep your internal organs healthy. If used externally, it is absorbed deep into your skin and enter your bloodstream. Unlike other oils, avoid heating it. Because the applied heat can break down the essential fatty acids in the oil into useless components. To maintain its potency and stability, store it in a cool place and refrigerate it after opening the container. g. Preventing heart disease and stroke. 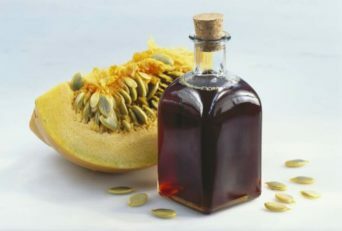 It can also be used as a nice addition to salads, soups, and sauces. Borage flowers are edible. Because of which they are often used in cake decoration or made into sweet syrup. How To Get Rid Of Onion Breath?